Jane Doyle, MRUP, B Soc.Sc, Dip. EIA (Mgmt), MIPI, is a qualified planning professional with a master's degree in Urban and Regional Planning from the National University of Ireland. 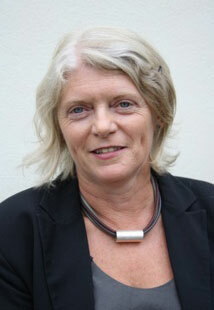 She has a primary degree in Sociology and Geography and postgraduate qualifications in Environmental Impact Assessment. Jane is also a Member of the Irish Planning Institute. Jane has extensive experience and sound working knowledge in all areas of Land Use Planning and Strategic Infrastructure Development consent. As a partner in Doyle Kent Planning Partnership, Jane has undertaken a wide range of planning related work, including providing specialist advice to organisations such as the Irish Marine and Energy Resource Cluster - IMERC. Prior to working with Doyle Kent Planning Partnership, Jane was a full time Board Member with An Bord Pleanála for 10 years, from 2001 to 2011. She was also a member of the Strategic Infrastructure Division of the Board. Jane's responsibilities as a Board member included decision making on projects and plans of national, regional and local significance, including strategic infrastructure developments, urban renewal schemes, major commercial developments, Strategic Development Zone planning schemes and compulsory purchase orders, together with all other types of planning appeals and referrals. Jane also sat on the Audit Committee of the Board and has in depth experience of business planning and process systems. Prior to her appointment as a Member of An Bord Pleanála, in 2001, Jane had worked for 5 years as a Senior Planning Inspector with An Bord Pleanála, reporting on the full range of planning appeals and chairing oral hearings. She has also held planning positions in Dún Laoghaire-Rathdown County Council, Kildare, Westmeath and Dún Laoghaire Corporation. Jane has particular experience in advancing participative approaches to the consultation process and has a proven track record in demonstrating leadership and strategic thinking skills. Jane has a particular interest in Education projects and has been involved in the planning and delivery of a co-located Educate Together National School at the Institute of Art, Design and Technology, Dún Laoghaire. Jane is currently a technical advisor to Newpark School Board on the delivery of the new school campus on their site in Blackrock. She is also a Board Member of Circle Voluntary Housing Association.